The nineteenth edition of Generali Milano Marathon, the international running competition organized by RCS Sports & Events – RCS Active Team, took place today in perfect cool weather conditions. The only man leading has been the Kenyan born in 1993 Titus Ekiru. 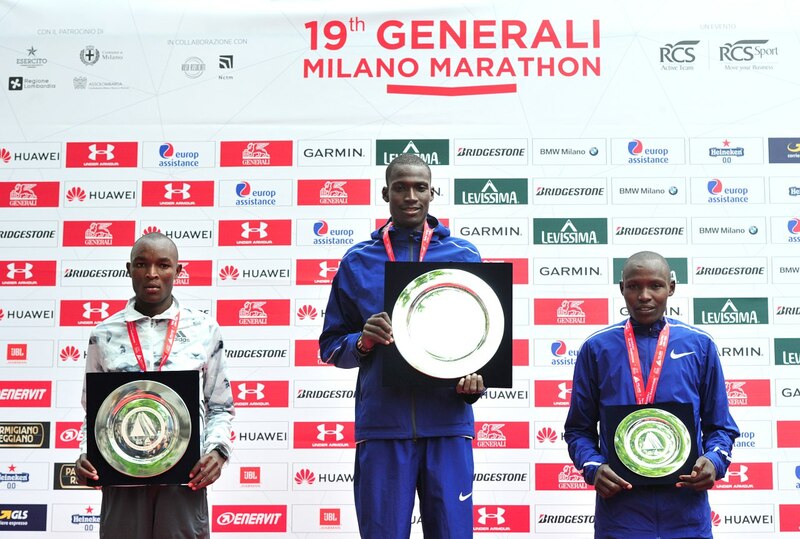 The athlete crushed his previous record of 2h 7:13, crossing the finish line in 2h 4:46, thus reconfirming Generali Milano Marathon as the fastest marathon ever run in Italy. Evans Chebet Kiplagat conquered the second place with 2h 7:22, followed by his compatriot Edwin Koech Kipngetich with 2h 08:24. First among Italians (7th place) Stefano La Rosa, who closed his race in 2h 14:16. After him came Alessandro Giacobazzi with 2h 17:45. First among women the Kenyan Vivian Kiplagat Jerono with 2h 22.25, the best time ever on the Italian soil. The compatriot Joan Kigen Jepchirchir came second with 2h 32:32. Third place has been conquered by the Ethiopian Ayelu Hordofa Abebe with 2h 37:50. Generali, title sponsor of the 2019 Milan Marathon, has also joined the Europ Assistance Relay Marathon with more than 200 colleagues, supporting the Group’s initiative “The Human Safety Net – Ora di futuro” and dedicating to younger children the Generali Kids Village in the Citylife park to encourage sports activities and to endorse a healthy lifestyle for everyone.